telisca Busy Alerter Callback is an application for Cisco Unified Communications Manager’s that helps handling calls when the user is already online, busy (do not accept new call) or do not answer. 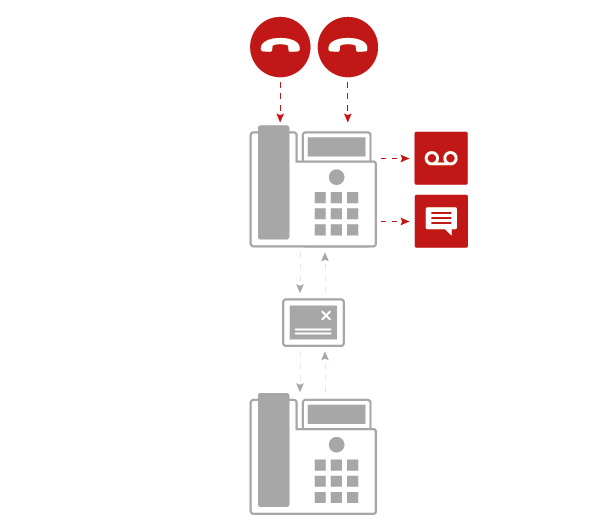 Busy Alert Callback provides an IP Phone interface as well as audio messages. Usually, when the called line supports two or more calls (busy trigger parameter is greater than one) the calling party only hears a normal ringing tone, so Busy Alert Callbacks alerts the user and provides further options. The caller can decide to be redirected to the called party’s Voice Mail, switchboard or carry on ringing the intended destination. Busy Alerter also provides a way to set a callback request on the calling side or called side. Busy Alerter Callback also enable the user to set a callback when the called party is available again.